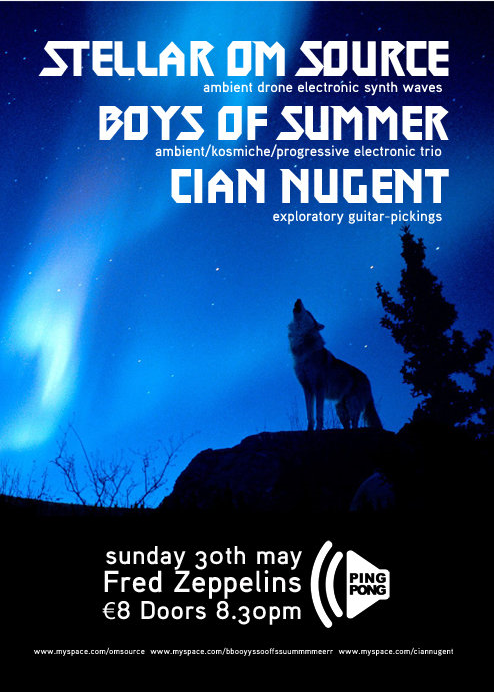 For anyone desperate (that may be a tad dramatic but interested could also be used) to find/see/hear some new, interesting, quality live music in Cork but is a bit wary of shelling out big bucks for unknown bands in established venues then I seriously recommend keeping an eye on the Ping Pong calendar. 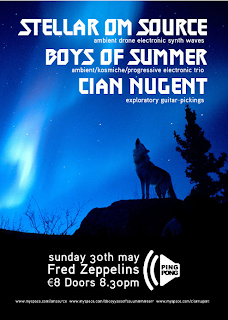 Stellar OM Source play Fred Zeppelins this Sunday with Cian Nugent and Boys Of Summer. Cap Pas Cap with Toby Kaar play The Quad for FREE. Lucky Dragons (Californian Trance) hit the Triskel Arts Centre, (located in the ESB substation, Caroline St) with Persons/Tarseer.